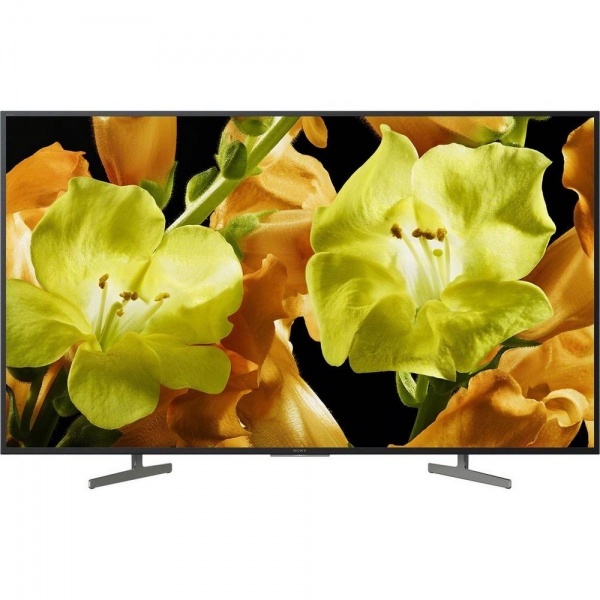 It’s simple to get online with this Sony 4K UHD TV. Wi-Fi enabled and with an ethernet cable included, you’ll be ready to surf the net in no time. Utilising the Android operating system, this Sony Smart TV gives you access to the Google Assistant too. Discover content from different services using voice search on your remote control, so you can spend less time browsing, and more time watching the series you love. If you’re looking for inspiration, you can also get recommendations – try asking for “romantic comedies” and see what comes up. Or, ask your Google Assistant to find your favourite shows. You can even control other smart devices from your TV. Sony TVs come with advanced technology to make what you watch better than ever before. The TRILUMINOS display offers a wide colour palette, bringing lifelike tones and vibrancy to your picture, while 4K X-Reality Pro sharpens images in real time, showing off extra details. This even extends to shows that are lower resolution than 4K – thanks to its powerful upscaling, the KD49XG8196BU refines the picture quality of anything on screen. Motionflow™ XR 400Hz technology also keeps the action smooth and sharp in fast-moving sequences like sports matches. Extra frames are created and inserted between the originals, so you’ll feel like you’re sitting in the stadium. Whatever device you want to link up to your Sony 4K UHD TV, there’s a way to do it. You can even watch things directly off of your PC, thanks to the handy PC streaming feature. There are also apps for Apple devices, and for the Google Store. Bluetooth support even allows you to cast media directly from your phone to the TV without an internet connection. VESA compatible, the Sony KD49XG8196BU is wall mountable, giving you greater choice in how you position it in your home. It also comes with a dark silver stand included, so it will look great stood on a cabinet in your living room. Screen Size Class 1244.60 mm 49"